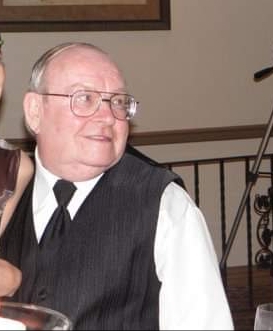 Obituary for James E. Button | Mason-Gelder Funeral Home, Inc.
James E. Button, 80 of Greensburg died Tuesday March 26, 2019 in Westmoreland Manor. He was born April 14, 1938 in Elkland, PA a son of the late Elmer and Lillian (Webster) Button. Prior to retirement he was an accountant with Williamhouse Regency. He is survived by six children Shawn Button of North Lima OH, Pat Button and his wife Gemma of Silver Springs, MD, Heather Pleska and her husband Shawn of Salem, OH, Chris Button and his wife Tara of Jeannette, Tim Button of Reading and Holly Button of Clarion, two sisters Janice Stromberg and her husband Earl of Port Allegheny, Pa and Judith Flynn and her husband Harry of Lawrenceville and numerous grandchildren, great grandchildren, nieces and nephew. A memorial service will be held Friday at 11:00 am in the Mason-Gelder Funeral Home, Inc., 201 N. First Street, Jeannette with Rev. Chris Morris officiating. To send online condolences visit www.mason-gelder.com.